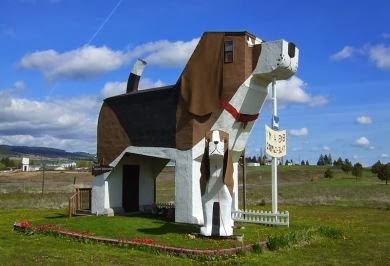 If somebody were to show you the above image and tell you that somewhere in the world, there is B&B accommodation shaped like a giant beagle dog, it would probably leave you with more questions than answers. The beagle-themed B&B is located in Cottonwood, Idaho USA and sleeps up to four guests at a time. The dog's head houses a loft bedroom and an alcove within the muzzle and also boasts a toilet disguised as a fire hydrant. The larger beagle, named Sweet Willy, is 30 foot tall, 34 foot long and 14 foot wide. It's made of wood and painted stucco, with flaps of carpeting for ears. What possessed them? Did they wake one morning after a weird dream about living in a giant dog and say, “YES WE CAN”? What type of person chooses to build a giant dog? (The owners are apparently chainsaw artists). Does the sign attached to the hind leg say no dogs allowed? Is this where men go to sleep when their wives tell them they’re in the doghouse? Is this the big dog that former Springbok rugby coach Peter de Villiers was referring to when he famously said, “if you want to run with the big dogs, then sometimes you have to lift your leg" ? 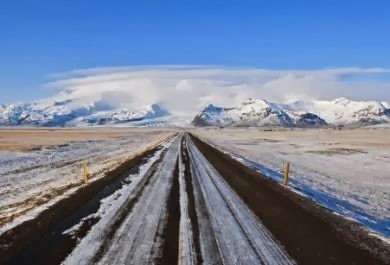 To me the whole thing seems utterly ridiculous, however to be fair, from what I’ve seen on the internet, those who have actually been there have only good things to say, so who knows, perhaps I’m barking up wrong tree.